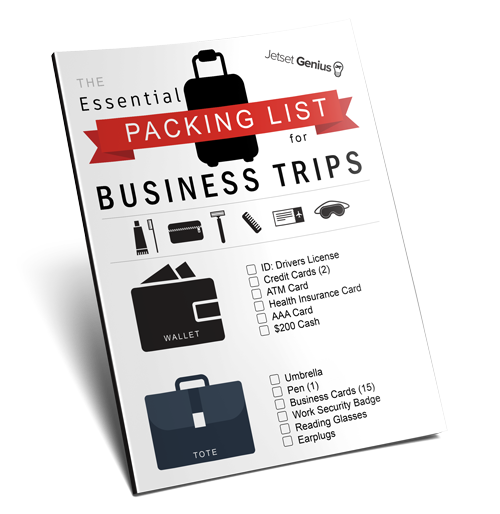 Still looking for that perfect gift for an avid traveler? How about something they might actually want? We've got you covered with 20 carefully selected gifts that will make any traveler smile! 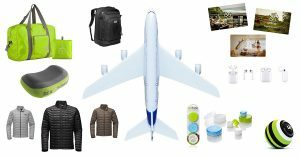 These are some of my favorite travel items I love that will either make their time on the road easier or be an inspirational reminder of their travels when they get home. Enjoy! You just never know when you're traveling and discover that you've bought too much stuff while out on the town. Well that's no longer a problem with this great collapsible duffel bag. It's extremely light-weight so you can throw it in your bag and forget it and it'll be there when you need it. 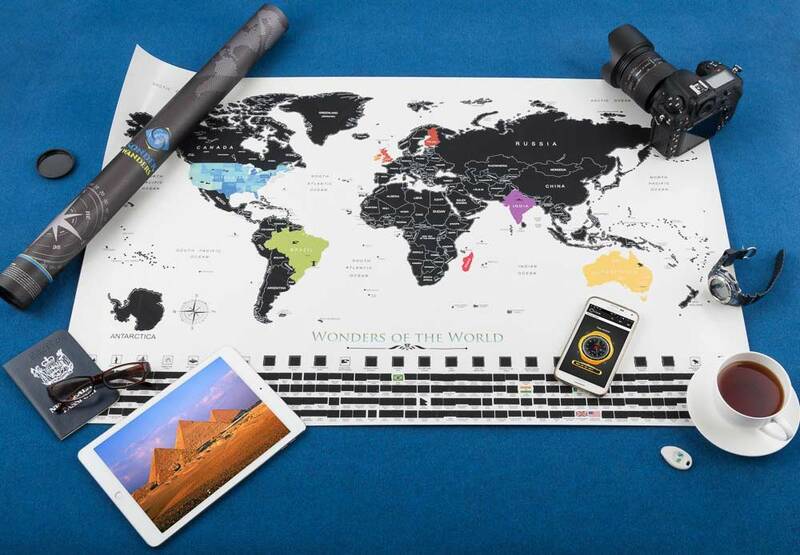 What better gift for the world traveler than a fun map to scratch off the places where they've been. There are lots of scratch maps out there, but this one has a nice mix of detail and colorful aesthetics that actually looks really nice on the wall as you use it. One of the hardest things to keep organized in your travel bag is all those cords that seem to get tangled on EVERYTHING! A much better solution is cable sleeve that can keep all your cables neatly in place and ready to grab them when you need them. A really great rocks glass seems more expensive than it really is. But this 11oz rocks glass etched with maps of different city streets looks fantastic for only around $18 each. While you might not want to take the rocks glasses on the plane with you, this Carry-on Cocktail Kit is built for just that. 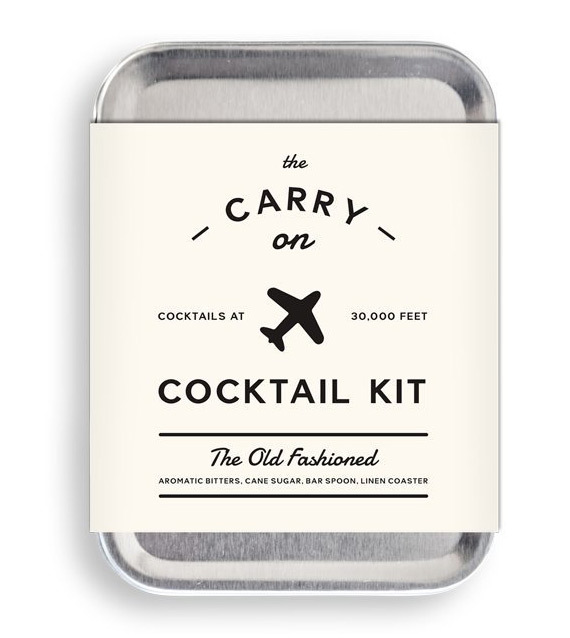 Now you can enjoy an exquisite old fashioned at 30,000 feet. 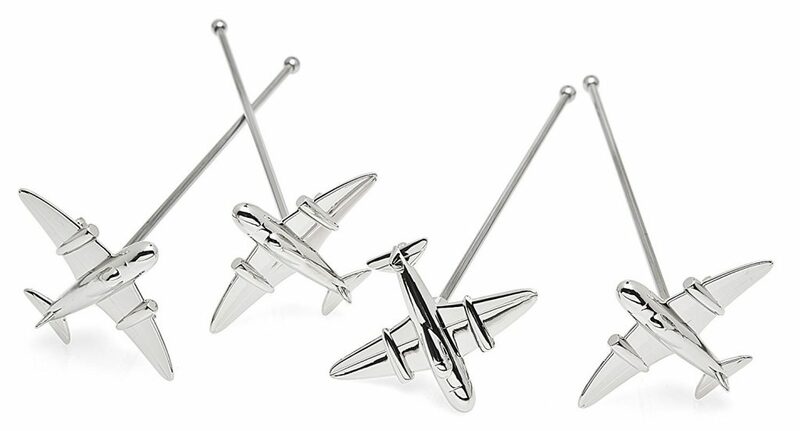 Why not complete the travel themed bar set with these airplane cocktail stirrers. They look really classy in any home bar and they even have a matching bottle opener. We've all given gift cards before, but why not give one a little more unique? 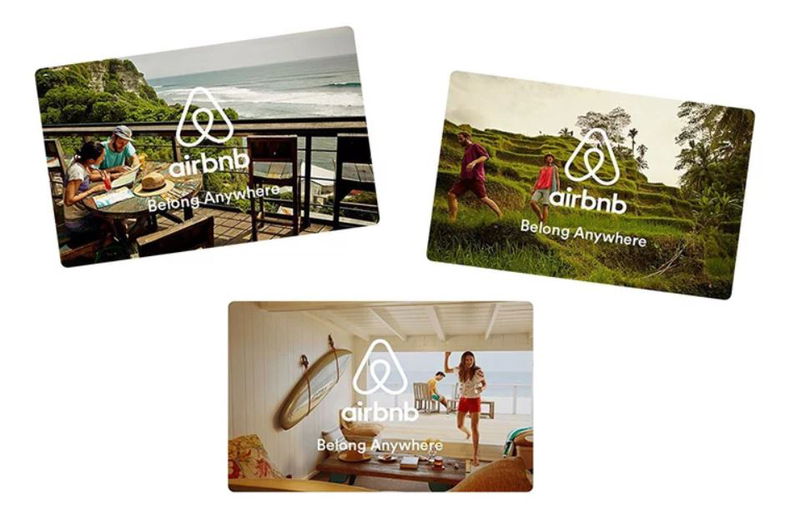 With Airbnb becoming more and more popular to travelers wanting a more local feel to their trip, it's the perfect choice for your traveler. Nothing feels better after a long flight than to work out the knots with a great massage. What's even better is to have this great massage ball in your bag for whenever you need it. I have several of these in my office, in the car and definitely in my travel bag. 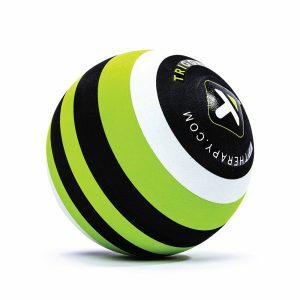 It's a great way to work out any tight areas quickly and easily. For travel, I'd recommend the 2.6 inch size as it's easy to stuff in your bag anywhere. The problem of traveling with a jacket is that is usually so bulky it's hard to pack without taking up your entire suitcase. That's why I absolutely love this North Face Thermoball Jacket! I have traveled with this jacket for the past year and it is now the ONLY jacket I travel with. It's extremely light-weight, incredibly warm and can be compressed into any tiny space in your bag. Plus it looks very professional as well. One thing you're likely to see on most flights now are a number of people wearing some form of huge noise cancelling headsets. I myself love great audio, but the trade-off of bringing along an enormous extra device just isn't worth it. I much prefer a good set of tiny earbuds and I really like the Apple AirPods. I've been using them about 6 months now and they are now my favorite set of headphones. They are small, light-weight and have really good sounds quality. This is by far my favorite travel bag for several reasons. First it is the exact size of a normal carry-on rolling bag but has straps so that you can travel hands free. It has a zipper that opens around the entire bag so you can open it like a suitcase. I also like the soft sides as opposed to hard shell suitcases as it is much easier to squeeze into those tight overhead bins. 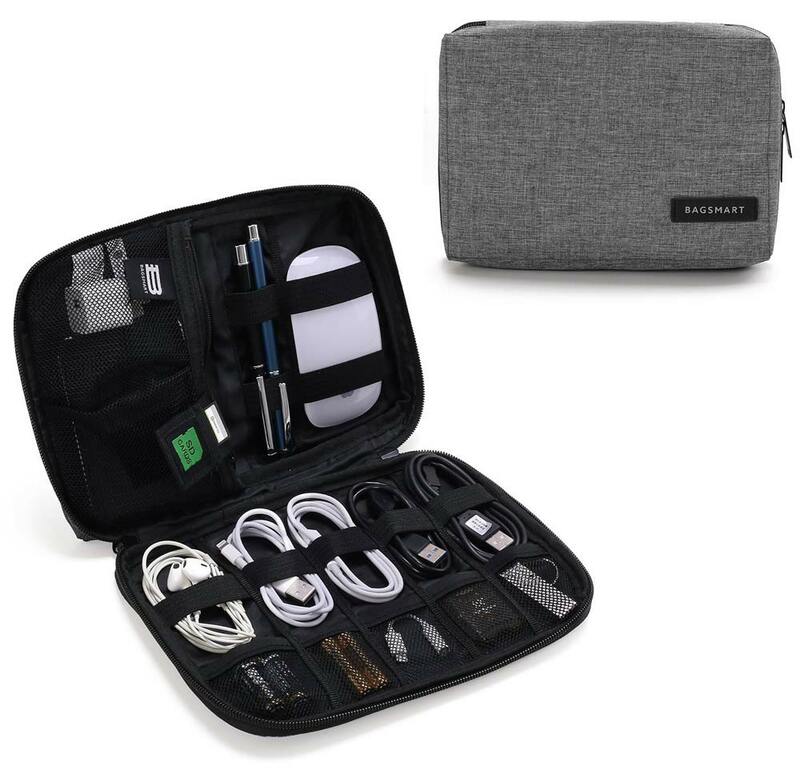 Even if your traveler already has a favorite bag I highly recommend getting them one of these and watch how much it improves their travel. These aren't your normal packing cubes. They are super light weight and can compress whatever you pack inside. I traveled for a long time without packing cubes and honestly didn't know what I was missing. 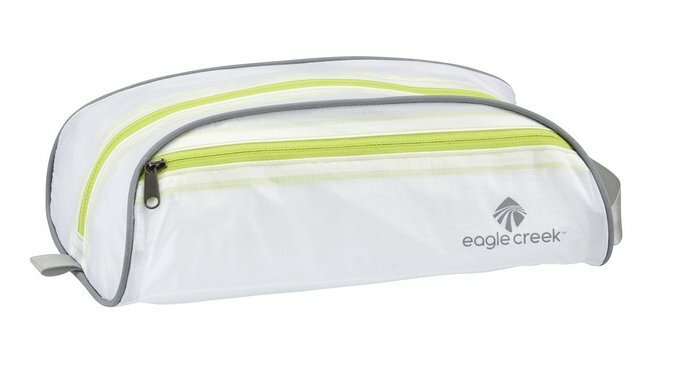 These are great way to keep your bag organized on the road. There are so many toiletry kits out there but they all have the same problem, they weigh a ton! The leather ones look really nice, but they add too much extra weight to your travel bag. 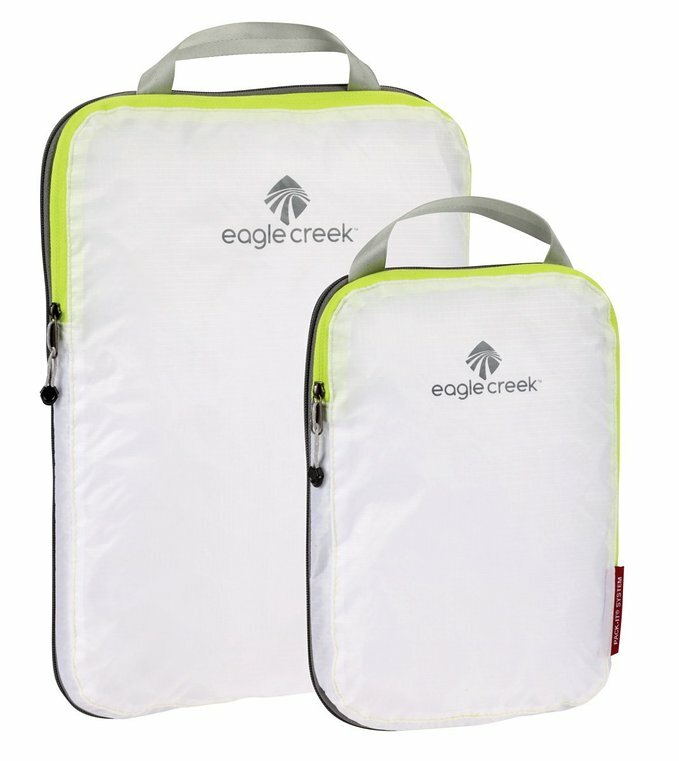 I use this extremely light toiletry kit from Eagle Creek. 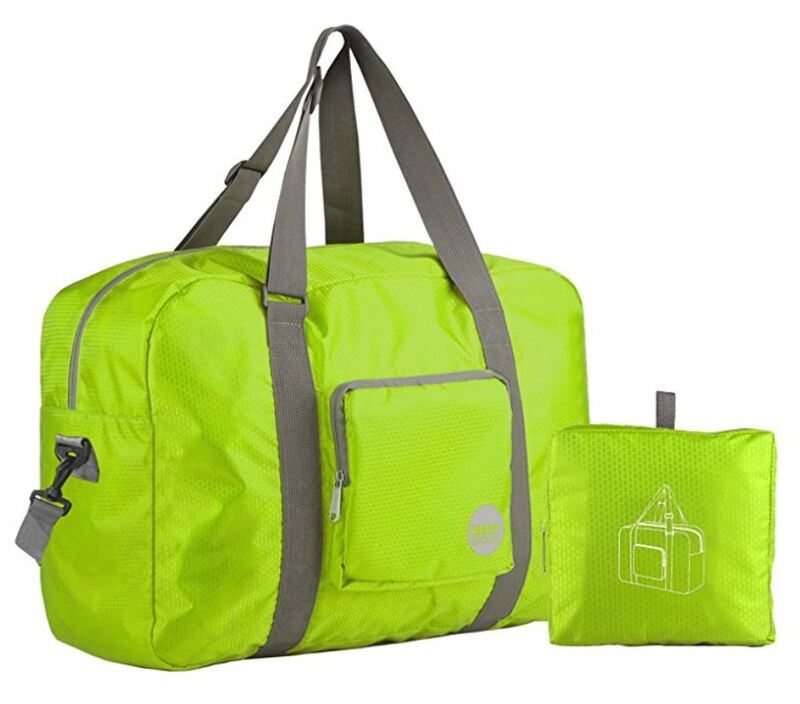 It has plenty of compartments for the basics and is washable. 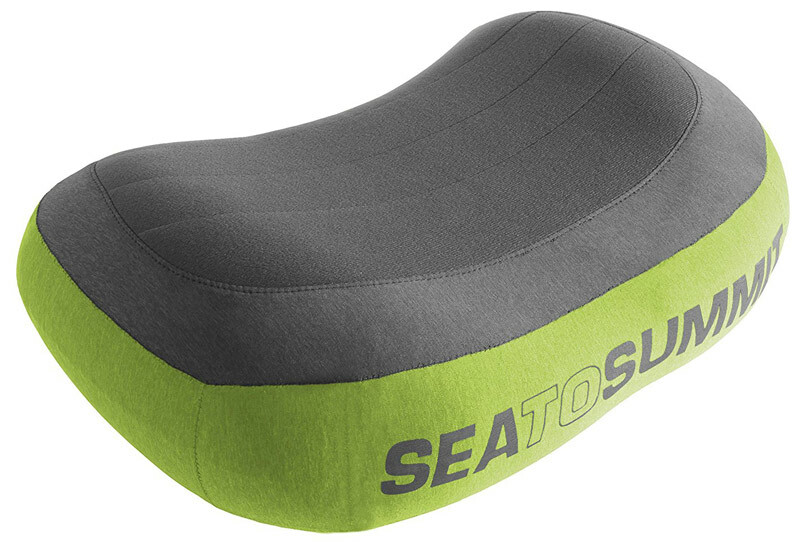 I've tried lots of travel pillows and I don't like most of them. But this guy I like for a couple of reasons. Mainly it's super small when it's rolled up which is perfect for travel. 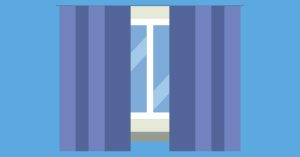 But it's also pretty comfortable when you use it against the side of the plane in a window seat. These are much more handy than you might think. They are easy to open and can be used for headphones, pills, vitamins, ear plugs, jewelry and all sorts of odds and ends that might be loose in your suitcase. 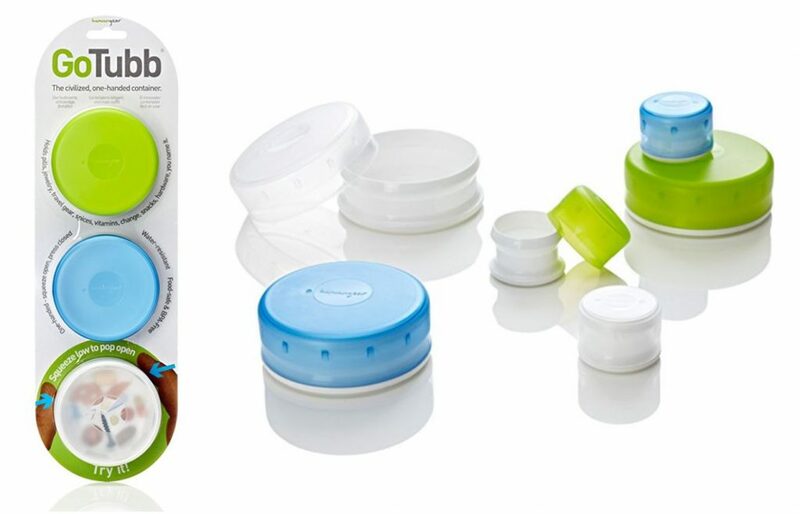 Get organized and pickup these containers! I've traveled with many of different external phone charging options and they all have the same problem; they are a hassle. You have to pack extra connecting cables and this large battery is dangling from your phone. So I opt for extended batteries that are built into your smartphone case. 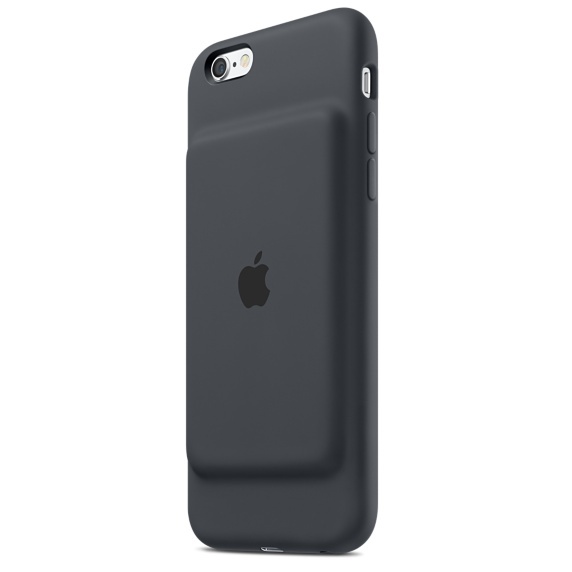 If you're an iPhone user, I still like the Apple charging case the best. Every traveler loves to get tips and advice from other travelers and what better person to watch in movie giving travel advice than George Clooney. 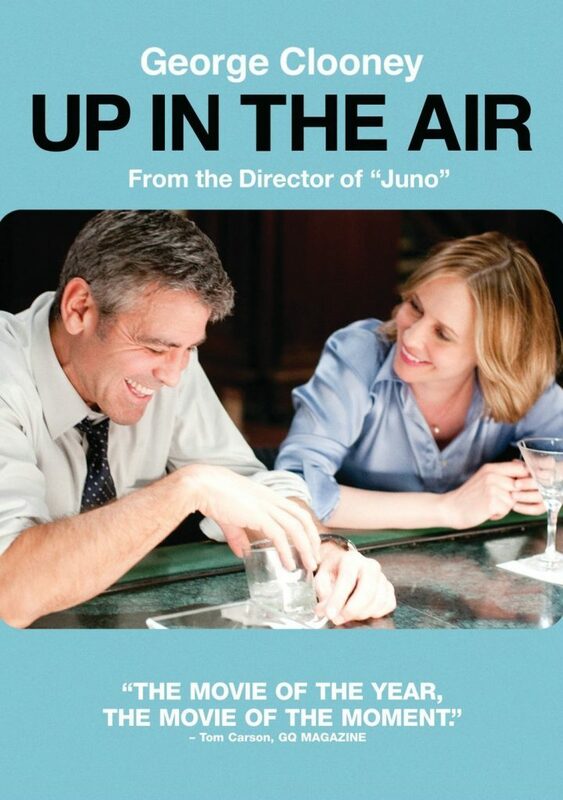 This is one of my favorite travel movies with some great travel quotes and a few tips too! Some travel experts don't like packing an umbrella due to the extra weight and space it takes up in your luggage. But I am sure glad to have one when I step out of a meeting and it's pouring down rain outside. 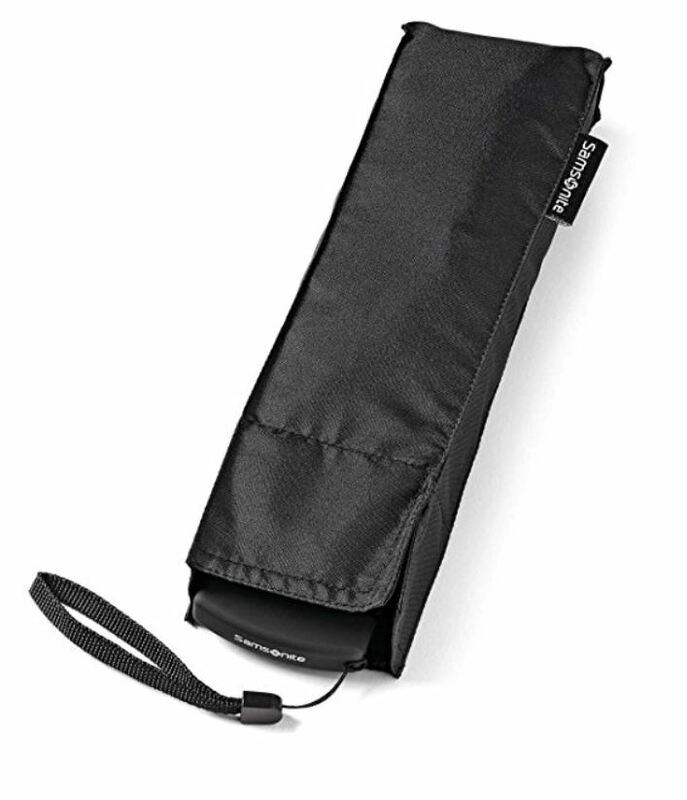 So I always bring this light weight Samsonite travel umbrella. My favorite thing about this umbrella is that when it's folded it's more flat than round. This makes if pack much better in a messenger bag. 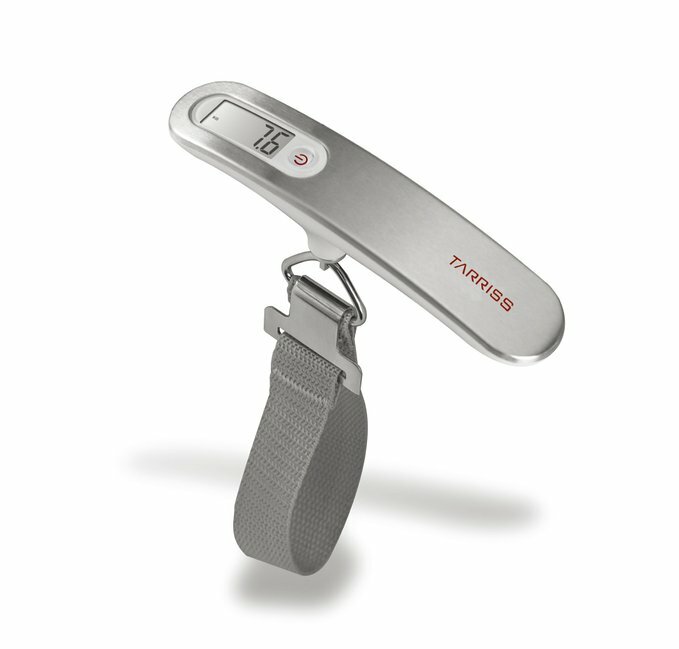 A luggage scale is a great tool to keep around the house to weigh your bag before you leave. Not so much for staying within the weigh limit of checked bags (always travel carry-on only) but so that you can weigh your bag before you leave to get it as light as possible. One of the reasons I hate camera bags is that they all advertise to the world that YOU ARE TAKING PICTURES!!! It's so invasive when you're walking around town. 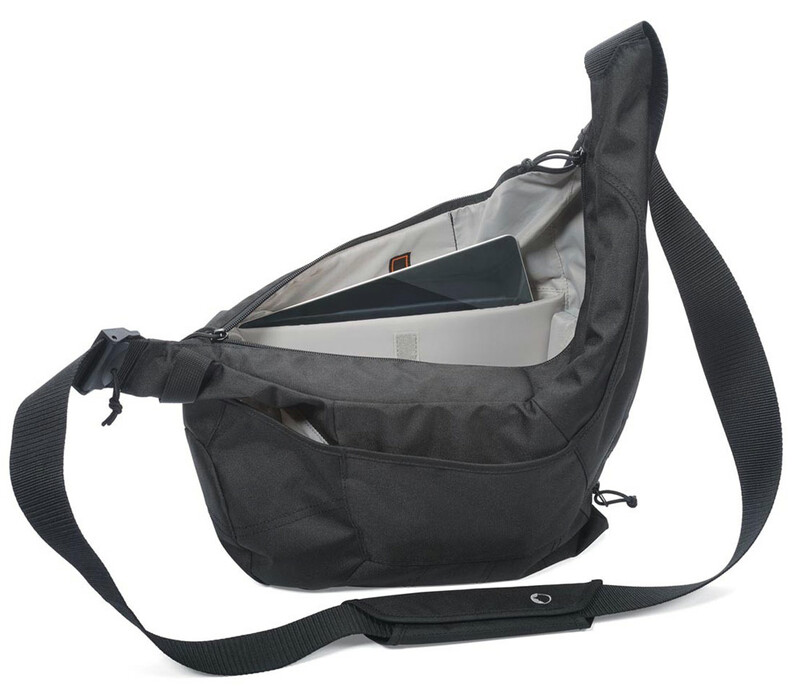 That's why I really like this messenger bag from Lowepro because it doesn't look at all like a camera bag. 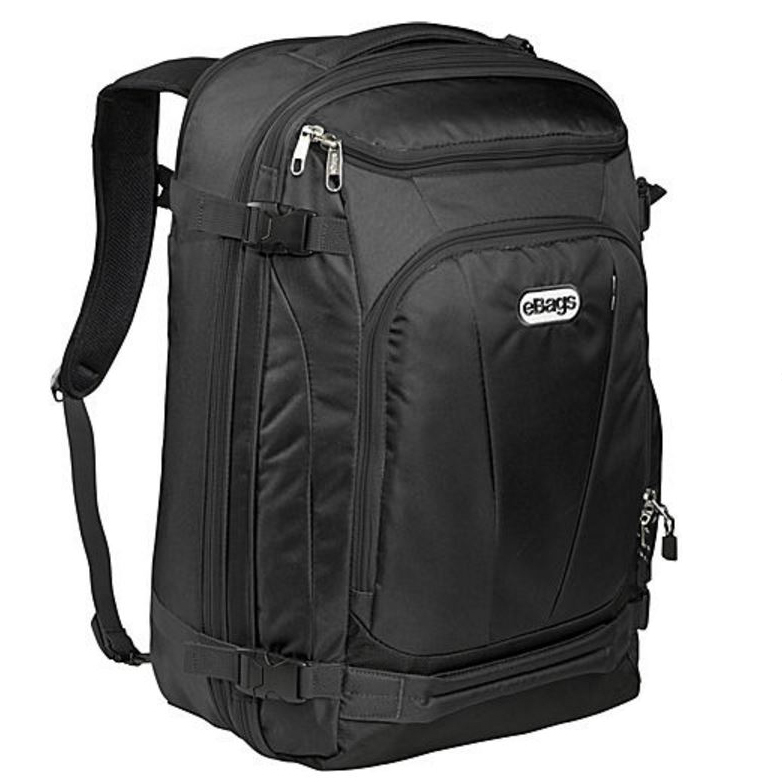 It keeps all your camera gear safe and has an expandable zipper where you can toss in some extra gear if you need it. Didn't find what you were looking for? Check out some more gift ideas from my gear guide.